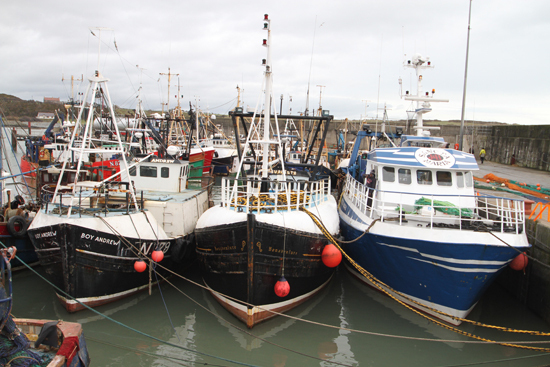 SOUTH Down MLA Chris Hazzard has called on European Fisheries officials to explore the viability of a ‘Single Boat Payment’ to supplement the loss of earnings endured by the local industry in the face of stringent European rules. 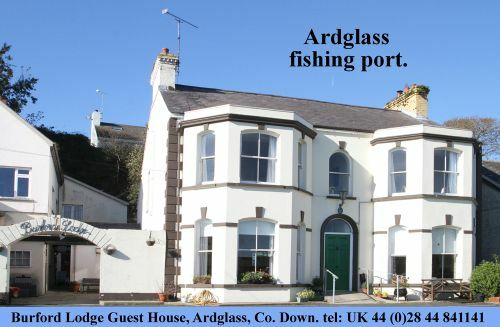 Speaking after a discussion with local fishermen in Ardglass, Mr.Hazzard said: “For some years now our local farming industry has received a Single Farm Payment so that despite necessary environmental and agricultural restrictions they may be able to farm sustainably and harvest local produce at an affordable price. “Given the increasing hardship experienced by our local fishing industry as a result of similar restrictions imposed from European officials, the viability of an agricultural subsidy for our local fishing industry should be given serious consideration. Prawn trawlers in Ardglass harbour shelter from the rough seas.